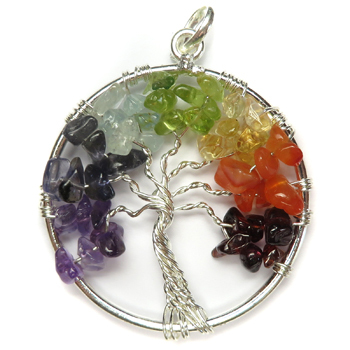 A Chakra gemstone tree of life pendant. Measures approx. 1.5 inches.